With 2016’s Rogue One: A Star Wars Story, Gareth Edwards earned himself a place in history as the first filmmaker to deliver a Star Wars movie that exists outside of the main saga of that franchise, and succeeds as essentially a standalone story. This is a double-edged sword, however, as he’s now forever burdened with facing questions about further chapters in the franchise – in particular, new Anthology chapters. This is an astute observation on the part of Gareth Edwards. Prior to the release of Rogue One: A Star Wars Story, there was a school of thought that said that movie was the greatest challenge, because it needed to capture the essence of the best Star Wars films while still functioning as its own story and tying in to the broader narrative, in chronological terms. However, Edwards had the advantage of being able to introduce entirely new characters to tell a story that – while being a well-known part of Star Wars lore – carried little actual baggage. 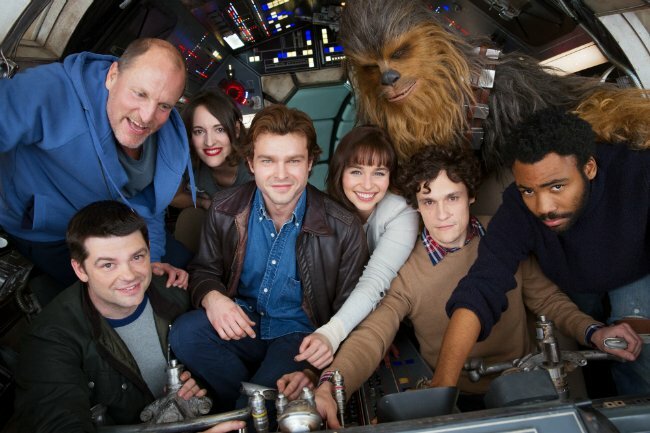 By contrast, Phil Lord and Christopher Miller are dealing with characters that are beloved icons of popular culture. Han Solo, Lando Calrissian and Chewbacca are three of the most recognizable individuals within the Star Wars universe itself, and the wider media – and the story of the exploits of their younger years is one that fans have been clamouring to see on the big screen for decades. As Edwards points out, though, the filmmakers that so deftly handled The LEGO Movie and 21 Jump Street are almost certainly the directors best placed to bear such responsibility – supported by a screenplay written by Jon and Lawrence Kasdan. While the Rogue One director seems happy to leave that challenge to Phil Lord and Christopher Miller, Edwards did express some professional envy while confirming that he has indeed been privy to some elements of the Han Solo production process. If the director of Rogue One: A Star Wars Story is jealous about the way the Untitled Han Solo Anthology Film is shaping up, then we know it must be something very special indeed.